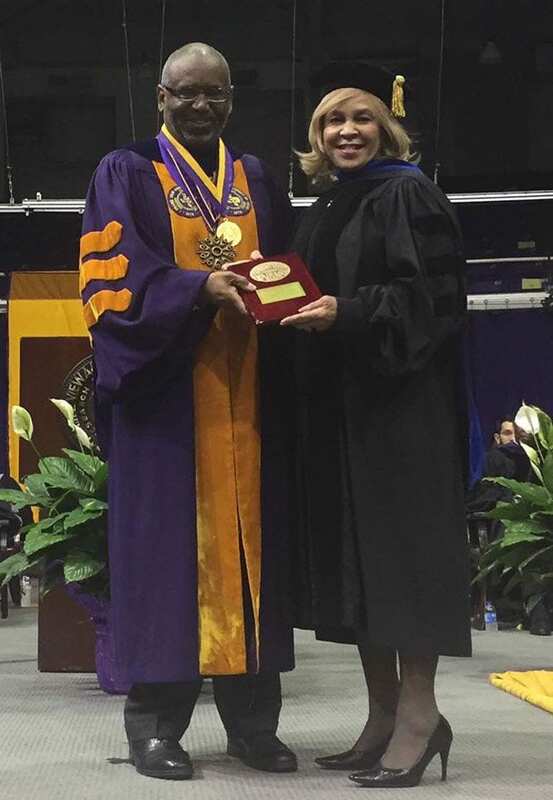 On May 14th, State Rep. Helen Giddings was honored during the commencement ceremonies at Texas Southern University and Prairie View A&M. At Texas Southern, President John Rudley presented Rep. Giddings with the prestigious President’s Medal for her efforts repealing the B-On-Time Loan Program, which had the unintended consequence of sending millions of tuition dollars from universities like Texas Southern to other institutions, thereby creating a cycle of certain students subsidizing those from other campuses. Representative Giddings offered her appreciation for the awards and expressed her closeness with the universities. “It was incredibly humbling to be honored with these awards. I have always felt a close bond with our historically black colleges and have always worked to ensure they receive the tools they need to serve our most at-risk students,” Giddings said.